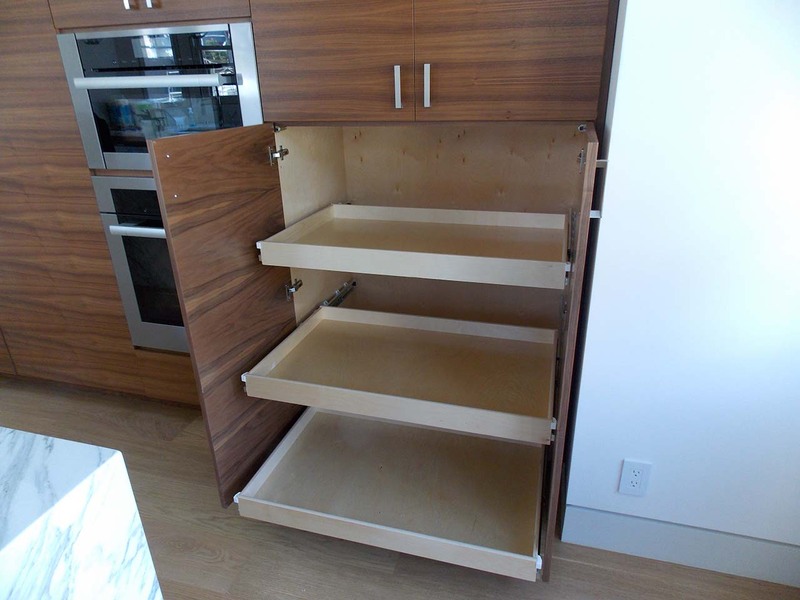 Improve your cabinets and add value to your home with our practical storage solutions. We help you find more usable space with blind corner solutions, center post reconfiguration, U-shape roll outs that fit around sink pipes, closet conversion, and drawer box replacement. 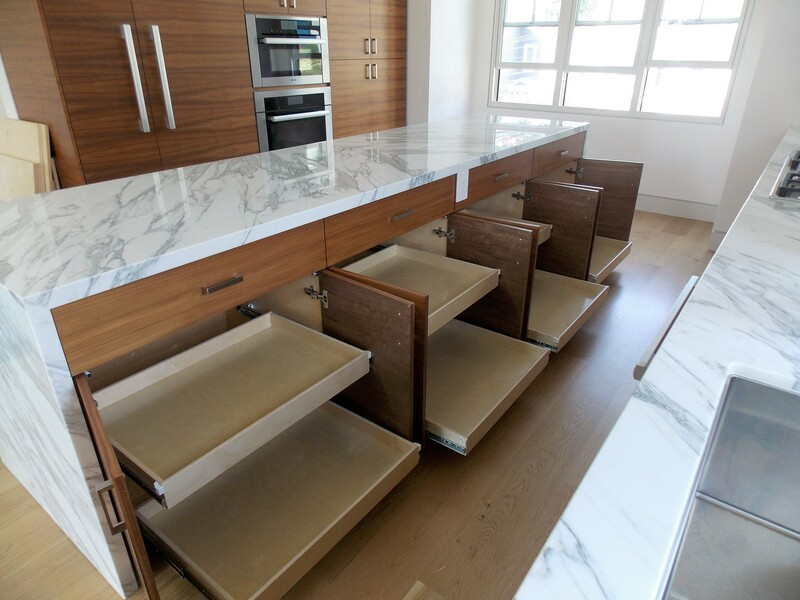 Tired of getting on your knees looking for things in your cabinets? Consider installing roll-out shelves. It is an easy upgrade and cost much less than you might think. Are your drawers getting difficult to open? Replace your old drawer box with a new one with full extension slides. Put your existing drawer front on the new drawer box. These time-saving solutions and organization ideas are a terrific value. Call today to schedule your free estimate or in-home consultation. Roll Out Shelves offers San Francisco Bay Area homeowners creative contemporary storage solutions. Take advantage of our practical custom made products for better, home organization. Owner and furniture designer Perry Hardison has been a carpenter for over 30 years. Perry started Roll Out Shelves 15 years ago to help his customers improve their existing cabinets. "Perry did an amazing job with our kitchen cabinets! It's been a week since I have had them installed and I absolutely love it! Perry's quotes were reasonable and he quoted a time to have them installed and delivered on time without any issues. We have a rather big kitchen and he installed all the cabinet pulls within half a day! I wish he did cabinet painting, I'd hire him in a heartbeat!"